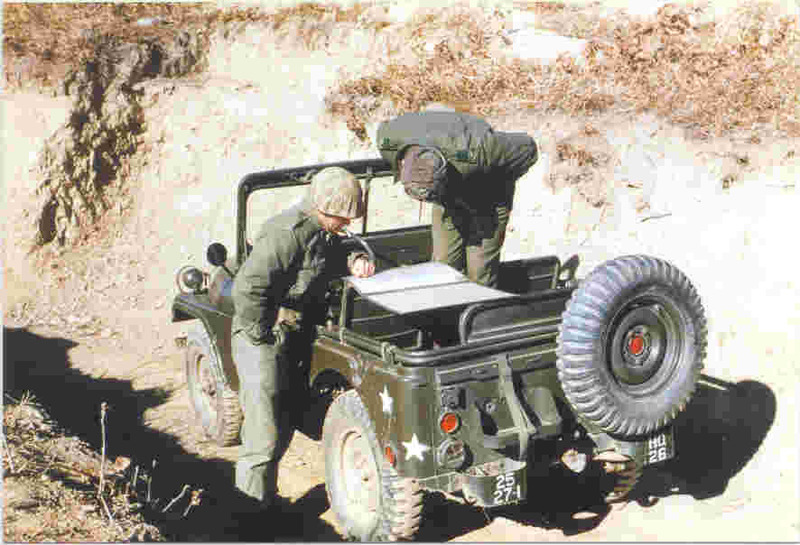 I thought it would be fun to have a section of historical pictures of M38A1's. With that in mind, I've been able to secure permission from various people or entities to present these. If you have an M38A1 picture and would like it here, let me know. I'd be happy to post it with proper approval and photo credit! Contact me at willys_m38a1@yahoo.com. Some pictures have been placed here for tentative use pending permission. They are placed here so the owner may view the environment they are in and make a determination based on what it will look like and how it will be used. Many thanks must go to Greg Marks for allowing use of his fathers Korean War pictures and copy. 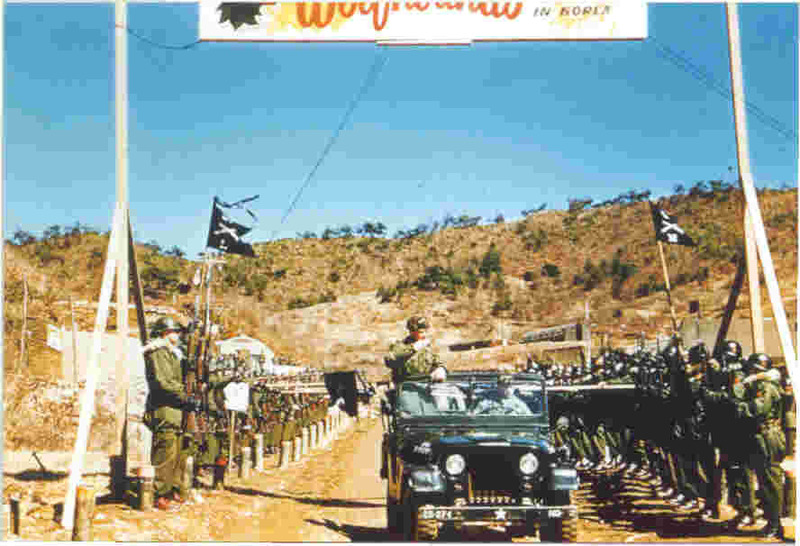 From Greg: The pictures were taken by my dad (Paul H Marks, Lt Col-retired) sometime during the Korean conflict. It's my understanding that he was there for the duration so I don't know what year they were taken. I believe he was a Captain at the time. He retired a Lt Colonel and has since passed away. He was in the Signal Corp but am not familiar with which units and when. I'd be interested if folks recognized aspects. I just recently read a pretty detailed write up on the wire reels (last couple of weeks). This was taken by Korean War vet Leon Bowie at a Korean airfield in '54-'55. 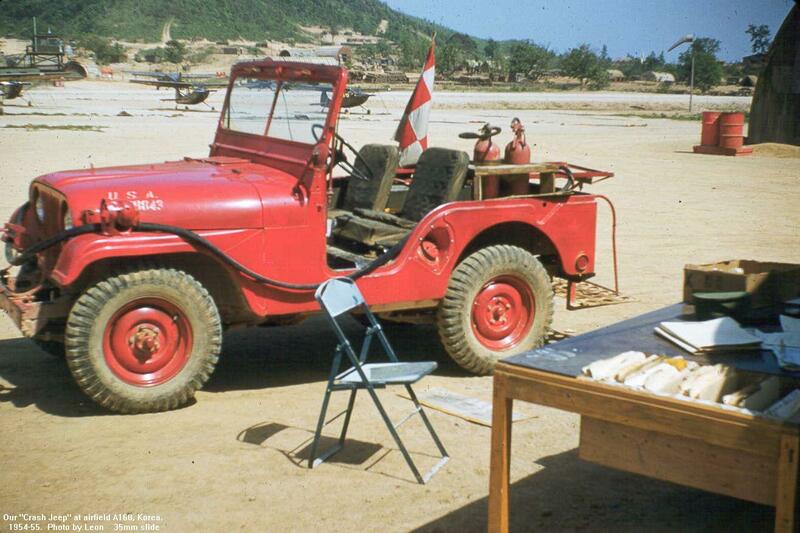 Note the large cable that would have come from the passenger side of the Jeep out of the round indentation for the APU (Auxiliary Power Unit) This was used to jump start airplanes and other military equipment. Thanks to Michel Giroux of Quebec to point out it was not an M38 as I had originally specified and even more thanks to Derek Redmond for pointing out it's a ARVN J4C. Note the driving rain storm going on in this 1963 dated picture. 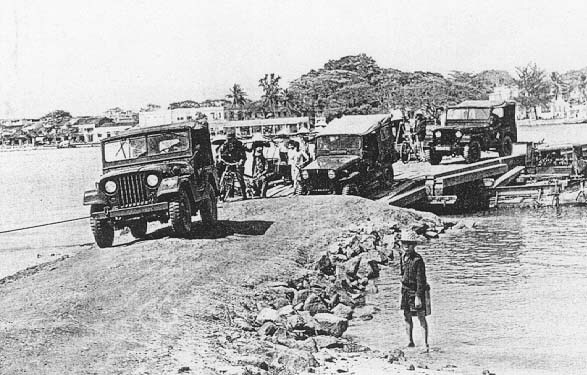 The lead M38A1 is followed by a second M38A1 and then a M151. 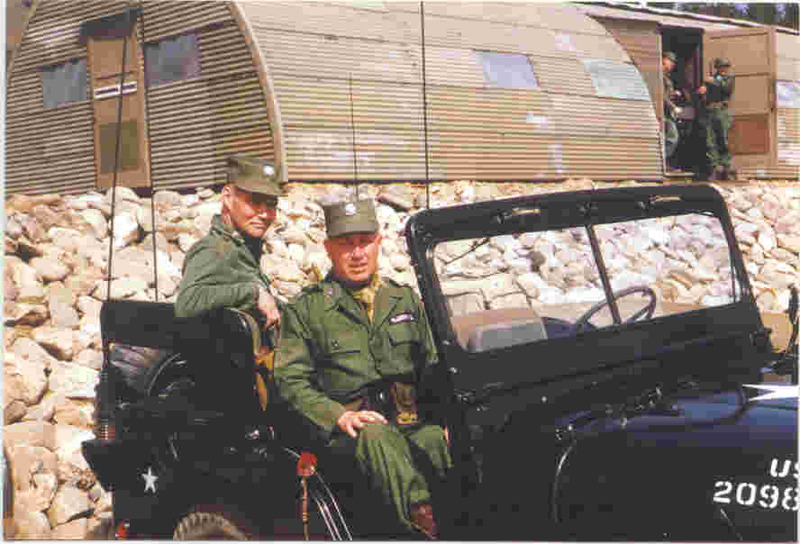 And yes, that is President Johnson riding in the M38A1! 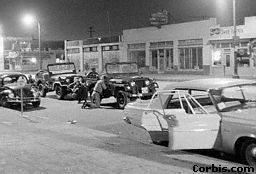 National Guard members hide behind jeeps, Watts Rios 15-Aug-65, LA California. 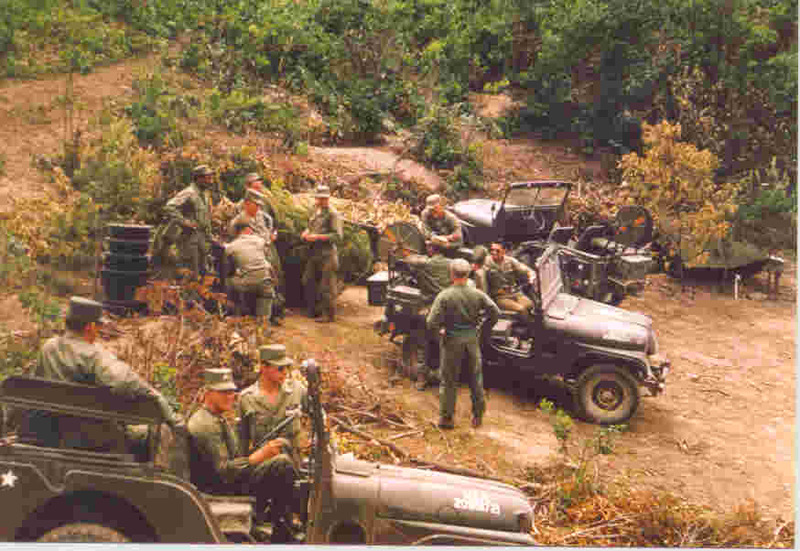 These are clearly M38A1s but they do not have the 2 pc windshields... Any ideas??? 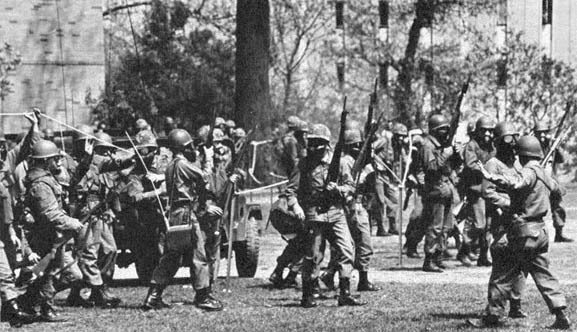 UPDATE: Thanks to Derek Redmond (The CJ3B Page http://www.film.queensu.ca/cj3b) for providing information that these are probably M606A2s (based on the CJ-5) built primarily for Export Use. 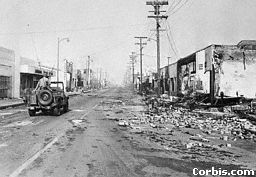 Jeep driving through Watts riot area, Aug-65.